Mr. Cummings is a native of Chicago with 35 years of experience in commercial real estate. Mr. Cummings is currently Principal and Senior Managing Director of Oxford Capital Group based in Chicago, IL. Oxford Capital is a diversified national real estate private equity investment, asset management, property management and development firm. Oxford Hotels and Resorts, LLC is its primary and wholly owned hotel operating affiliate. Oxford’s investment activities have historically concentrated on complicated, large scale acquisitions, developments and redevelopments. The company has sponsored, co-sponsored and/or participated in the acquisition, development, investment and ownership in over $2.5B of assets. This includes over 13,000 hotel rooms and 5000 employees. Oxford’s institutional and private equity investors and partners include family offices, sovereign wealth funds, endowment funds, pension funds, foundations, publicly traded companies including REIT’s and institutional fund managers. Mr. Cummings’ track record encompasses the hospitality, office, retail and senior housing sectors. Mr. Cummings has served as a principal in both privately held and publicly traded companies. 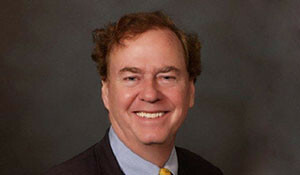 Mr. Cummings’ experience includes assembling investor groups to take positions in publicly held health care real estate companies. He led the acquisition of several portfolios of senior housing real estate assets. Mr. Cummings has also led the leveraged buyout of several assisted living and skilled nursing companies. Mr. Cummings has served as CEO of the nation’s only lender specializing in senior housing. Mr. Cummings started his career in real estate with Eastdil Realty in New York subsequent to his graduation from Harvard Business School. Mr. Cummings is also a graduate of Harvard College graduating with honors. Mr. Cummings is the grandson of Walter Cummings, the first Chairman and Founder of the Federal Deposit Insurance Corporation (F.D.I.C). What Do I Wish Entrepreneurs Would Ask?